I remember sitting during a gathering one Sunday thinking, “Okay it’s time to start something for women.” Fighting the idea of it being a typical “women’s ministry” I began asking the Lord to show me what it would look like, how would it be structured, what would be our niche. I am always quick to begin talking and putting the pieces together myself instead of waiting for the Lord. This was one of those things I wanted to make sure was God’s idea not mine. As I prayed, women within our church who were already pouring into other women began speaking up saying they would love to start something! That was one sign I knew God was up to something. One of my prayers was that he would bring someone to come alongside me to start this journey for our women, and I love how Jesus works because he was already working on someone else’s heart to lead! What I loved about her was that pouring into women was already her lifestyle. She did not change due to a position, but she naturally has a heart for women and Jesus is using her to change lives! As time passed, I met with other ladies, who were also passionate about investing in women to see them connect, serve, and worship together! Jesus was doing His thing! In June 2015, the name Flourish was birthed on a plane ride to Romania. As we traveled to Romania to work with the women there and live out exactly what the heartbeat behind flourish would be, God gave us the name. I love that part of our story! As we developed and deepened relationships with the ladies in Romania, Jesus was revealing the vision of Flourish, so this mission journey was key to our start! Inspire all women to thrive through authentic relationships. 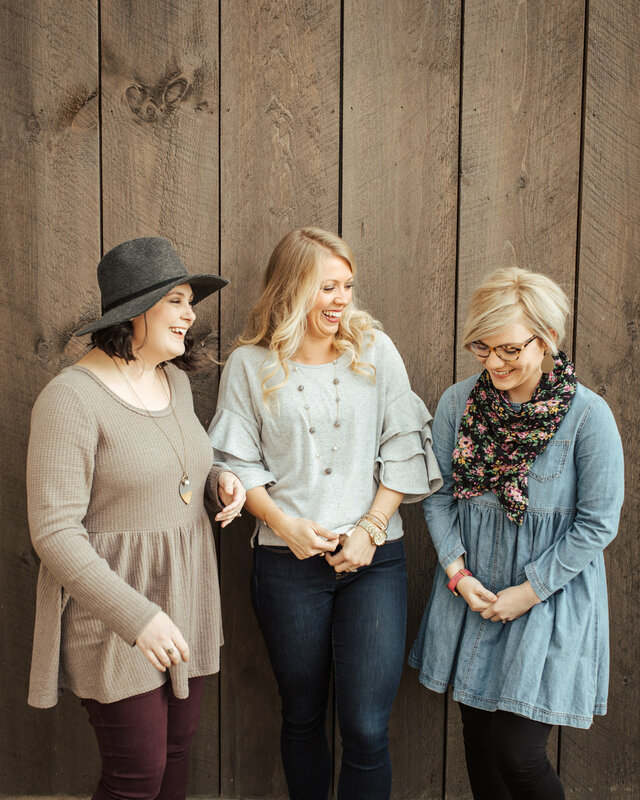 To achieve this vision, we have a Flourish Leadership team, which serves our woman through planning and leading events, organizing mentoring groups, and offering opportunities to serve the women in our community. We love that each of our events is different, yet all reflect the vision of Flourish. Every event should help build deeper relationships with Jesus and with each other! Our prayer as we began this journey was that Flourish would include not just the ladies of Public Church but also ladies from our larger community. As a woman, life is tough, and we need each other no matter what church family we belong to or if we belong to one at all – we welcome all ladies! We have loved seeing multiple generations of women come together, and we look forward to more of that! We invite you to follow us on Instagram “pcflourish” and to join us at our next event because we want to connect with you. In his book Visioneering, Andy Stanley says, “Vision is a clear mental picture of what could be, fueled by the conviction that it should be.” As my wife, Whitney first began praying and talking to me about a dream in her heart to help create a unique type of women’s ministry, I joined her in prayer and dreaming together. 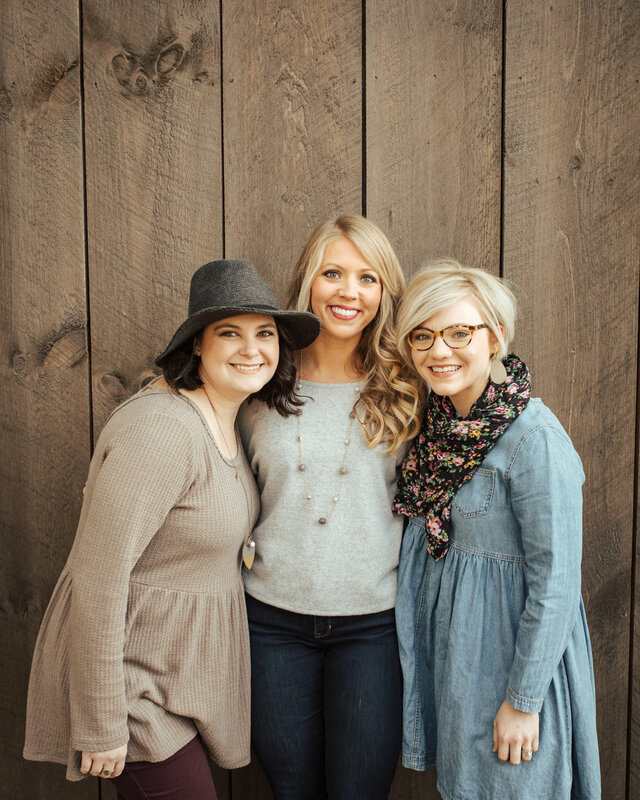 As she prayed, Jesus placed a similar dream in other ladies’ hearts, and soon they formed a Flourish Leadership Team. Their first task was to articulate their vision, and Andy Stanley also says that every vision is a solution to a problem. Consequently, they had to determine a problem for ladies in order to determine what could be. As they prayed and talked, these ladies realized the pressure on women in today’s world. A lot of this pressure revolves around being the woman that everyone else says you should be. Dress like this, pursue this career, spend time with these people, etc. In the midst of all this pressure, it is so easy for women to lose their identity in an effort to please everyone else. Criticism is so common that it’s scary to be genuine, real, and vulnerable, which is a real problem; however, what is so scary for ladies is exactly what they need. Ladies desperately need environments that foster authentic relationships where they are genuine, real, vulnerable and ACCEPTED as a result. As the Flourish Leadership Team saw this problem, they also saw that women thriving through authentic relationships could become a reality. Not only could it happen, it should happen! Ladies who are reading this, c’mon, isn’t this what you want? When you are gut-level honest, don’t you long for relationships where you can showcase the real you and still be accepted with all your flaws and talents? Would you not grow in the roles you fill—whether you are single or married, in school or in a career, with or without kids—would you not thrive in these roles if you had authentic relationships as a regular part of your life? Flourish exists to provide that for you. What I admire most about our Flourish Leadership Team is their devotion to the vision. Every event is completely different, yet all are singularly focused on implementing the vision. In November 2017, they hosted a Bonfire where ladies gathered on blankets to discuss a story in God’s Word. As I watched these ladies laugh with each other, listen intently, and talk about Jesus, I saw their vision come to life right in front of me. Ladies, if you are tired of pretending, worn out from trying to portray this perfect image of what culture says a woman should be, then Flourish is for you. Come and be refreshed by an environment where you will hear ladies talk about their failures and their successes. I do have a warning for you. One of our Public Church Behavioral Values states, “I prioritize relationships knowing that true life change occurs through authentic relationships.” The warning resides in this value: if you show up and either build or deepen authentic relationships, you will not walk away the same. If you are open to Jesus changing you, come on. There is a community of ladies waiting to invite you in and be changed with you. Flourish’s fall event was on Tuesday, September 23. There was much anticipation about this event, as we had not met since the spring. The Vision Team spent considerable time in prayer over what direction God was leading. An important value to us is that each experience looks and feels different. Our two events prior, had been focused on unveiling the heart behind Flourish and why it was started. With the foundation set, we felt it was time to go a bit deeper with a relatable talk grounded in God’s Truth, as well as worship and an intentional response time. The condition of your soil can be situational at times. However, more often than not, our soil’s state reveals the state of our soul. Are you burned out? God wants to heal you from that. Are you being choked by weeds that are squelching growth in God? Which can be good things at time, too. Are you so distracted by getting more that you give God less? We are just passing through. We do not belong here, but we get so side tracked by the world that we do not let the Lord cultivate us. Are you bearing fruit? We were created to bear lasting fruit. Every one of us who professes Christ bears fruit that is created to further His kingdom. Verse 15 says that if we open our eyes, ears, hearts, and let Him work our soul, He will heal us. Inside. Not outside. In the soul, in the soil. If we will just let Him do what He longs to do, not only will He heal us, but He will give us fruit. We will never link arms with Christ if we don’t cooperate with Him & give Him some room.. room to grow. What is God’s will for you? To flourish where you are. There’s not a step program, or a check list. It won’t always look the same. It’s your journey. It’s never too late to tend to our soil & grow up- no matter your age or stage in life. It’s time. Let God work. It’s time to go with Him. It’s time to say no to the world & yes to Him. Let him break up your unplowed ground.